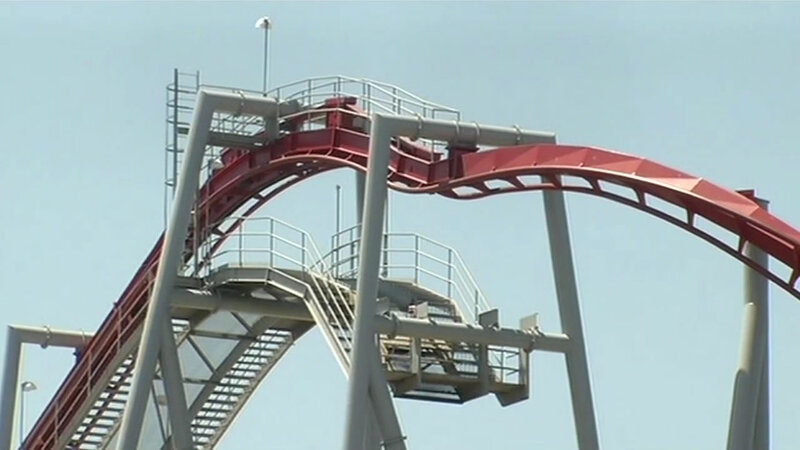 SANTA CLARA, Calif. -- The California Division of Occupational Safety and Health announced Monday a $70,200 citation for an accident that critically injured a mechanic in June at the California's Great America amusement park in Santa Clara. The citation was issued to Cedar Fair Southwest, which owns and operates the park located about a mile southwest of Levi's Stadium, according to Cal/OSHA. Robert Hooks, 66, was working as a mechanic at the park's Flight Deck ride on June 12 when he was hit by a train while recovering a cellphone in a restricted area, Cal/OSHA officials said. The accident happened shortly after 8 p.m. that night as the train was returning to the station. A park patron on the ride also suffered a hand injury, park spokesman Roger Ross said. The employee and park patron were transported to a hospital for treatment, Ross said. The park's owner did not have safety protocols or properly train workers to make sure the ride was shut down before retrieving the phone, according to Cal/OSHA. The penalties include eight workplace safety violations, two of which were directly related to the accident, Cal/OSHA officials said. Five of the violations were serious in nature, meaning they posed a risk of death or harm, according to Cal/OSHA. "Employers are required to maintain a comprehensive injury and illness prevention program that addresses all safety hazards," Cal/OSHA Chief Juliann Sum said in a statement. "Cedar Fair Southwest's lack of safety protocols and training for employees contributed to this serious workplace accident," Sum said. The park was issued six violations in the past 10 years, one of which was serious, according to online federal Department of Labor records. The serious violation was from an accident in 2007, when an employee inspecting a cable on the "Xtreme Skyflyer" ride fell from either a ladder or platform and was hospitalized, according to federal labor records. Requests for comment from Cedar Fair Southwest were not immediately returned today. Great America issued the following statement in response to the charges: "On Monday, Dece. 14 California's Great America received six OSHA citations related to events occurring at the park earlier this year. The safety of all guests and associates is our highest priority. It is our intent to appeal each of the citations that have been put forward."